When revisiting a well-worn concept, it's important to bring something new to the table. After all, we've reached a point in the gaming industry where certain genres — first-person shooter, platformer and adventure, just to name a few — have been pioneered and perfected over the years by generations of developers. Nevertheless, not every game has to have a visionary leader behind it, nor does it have to be in the running for best in the genre. However, most players expect a certain level of innovation and variation when approaching a new version of a time-tested concept, no matter how simple; after all, if it has nothing new to offer, why should we play it when we could be playing one of its forerunners? That's exactly the problem with Snake Den, which attempts to revisit the Snake game found in late-1970s arcades. While it does minimally attempt to shake up the formula its shallow gameplay, limited appeal on a home console, and some serious programming oversights keep it from warranting a purchase. It's important to stress that a concept like Snake could benefit greatly from some new twists; the bare-bones title commonly found pre-loaded onto Nokia phones in the late 1990s was addictive enough as a pick-up-and-play title that it makes for a pretty solid framework. Here, however, the changes introduced do little to mitigate the lingering sense of boredom that often accompanies titles of this ilk. As always, you're a snake forced to continue moving at all times in one of four directions, gobbling food that adds extra segments to your body. As you grow, it becomes more difficult to manoeuvre thanks to the distance between your head and tail. 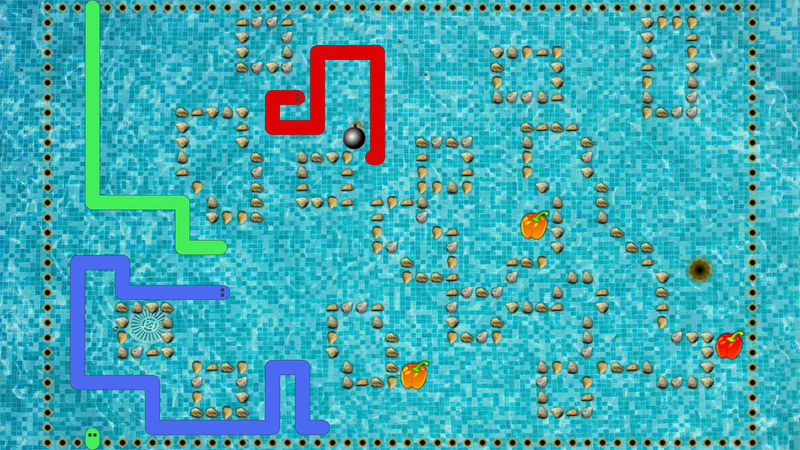 The game differs from many of its predecessors by throwing in rival snakes for you to contend with (which can also be controller by other players, if you're so inclined), as well as a unique way of clearing each stage. This latter feature involves growing your snake long enough to "scare" mice out of hiding; though you only need to eat one mice to make your den appear and clear the level, you can eat up to three mice to try to go for the best score. 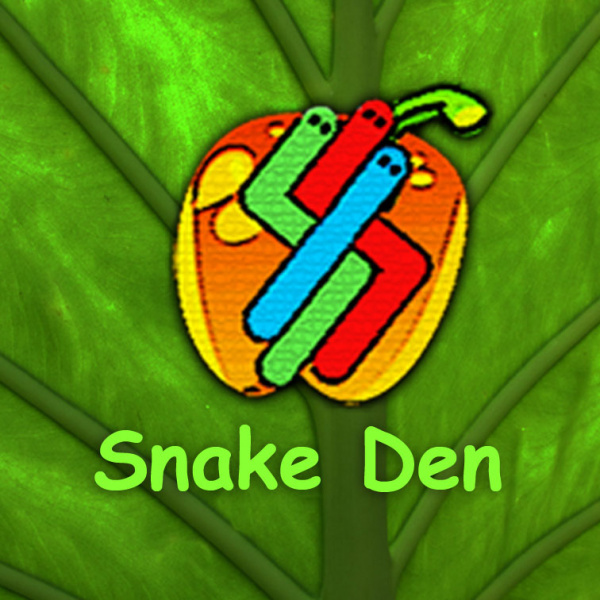 While Snake Den works for the most part, there are a number of troubling bugs that can occur and really ruin your experience. For one thing, the menus occasionally glitch out and become completely unresponsive to player input. On top of that, there's one bug that can cause the snake to render additional segments without collision detection — making it impossible to tell where the snake begins and ends. Finally, there are occasions where said detection is outright botched; for example, doing a U-turn can inexplicably and inconsistently cause you to bounce off of yourself and take damage. These purely technical gameplay problems are annoying on their own, but are regrettably combined with some issues in the design that come off as rather short-sighted and sloppy. The most telling example of this is right in the concept itself: though it borrows many of Snake's gameplay mechanics, this iteration's utter lack of challenge strips it of the high-pressure appeal found in other versions. Becoming a longer snake slows you down so much that it becomes well-nigh impossible to crash into obstacles, for example, and the consequence for hitting anything — losing just one segment of your snake's length — is laughably trivial. 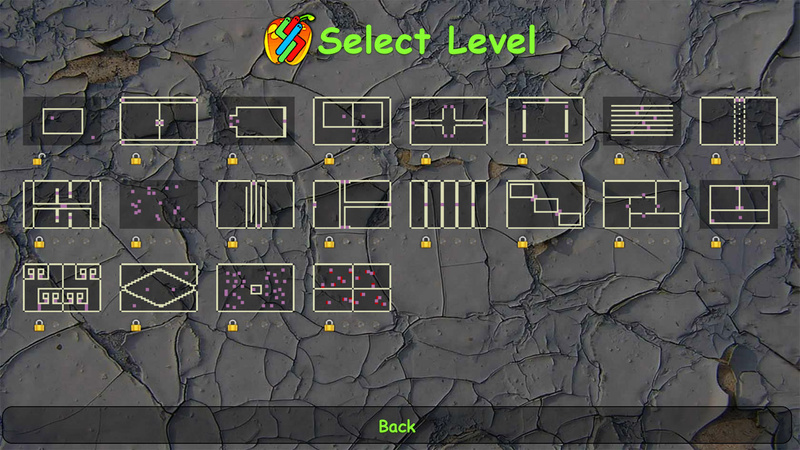 Even as the mazes get more complex, the core problems still remain: these controls are too sluggish and boring to make use of a concept known for its challenging, arcade-style appeal. 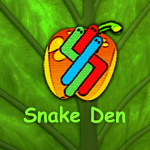 Snake Den's aesthetics do it no favours; the graphics are outrageously simplistic, the sounds are irritating and oddly compressed, and there's not one music track to be found anywhere. Add that to the poorly realized menus and utterly lame use of Miiverse (post your high score, but feel free to edit it before doing so) and you've got yet another piece of effortless shovelware to add to Nintendo's expanding pile of uninspired eShop rehashes. Snake Den borrows a well-worn game concept and makes a minimal effort to change things up. Poor programming, sluggish gameplay and an ugly presentation make this title very difficult to recommend at any price point — but since $4 is the launch asking price on this one, just know you're getting about a minute of gameplay per dollar until you get bored and decide to uninstall. looks beautiful! Definitely my most anticipated game of the year. Will pick up when I muster the cash! Yeah, I thought this was probably the case. I didn't think it was quite this bad, but I didn't run into really any of those bugs with my time with the game. You also forgot to mention the in game leaderboards which add some value to the game as they show the top score & your closetst rival. And a minute per dollar is pretty harsh. This game works VERY well in the category of 'Family with small children' game. You can't lose & the parents can help the kid through the level. It's child friendly and there will be an update eventually which will add music. I have always like the snake game. I didn't think for the price it was bad buy. very unfair review. but I did not get any of the bugs. 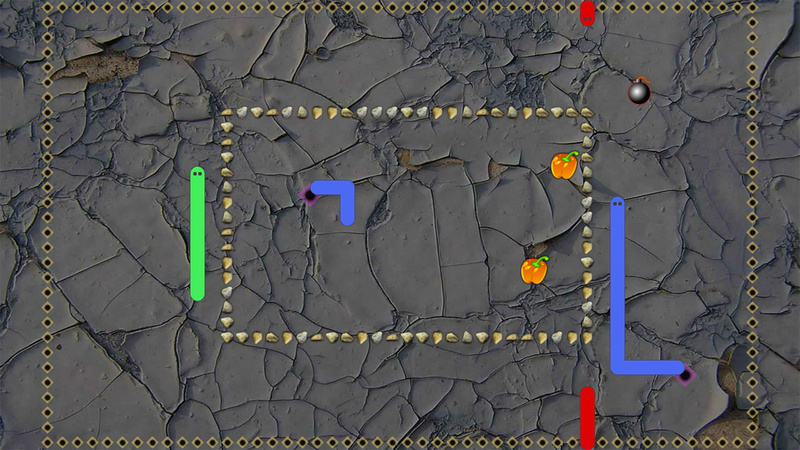 I recently made my own Snake game for fun, maybe I should port it to the Wii U and ask $3 for it. I never played it (yet) but Pix the Cat on Vita and PS4 is apparently an update on the ol' Snake game. It looked fun. I can imagine a Snake game with a Classic Mode, a "Tron" mode and a "Pac-Man" mode for 8 players versus, team, and co-op, local and online, leaderboards, replays, flashy 8bit style graphics, cool music, hundreds of stages/missions, off-tv, 1080p, 60fps, amiibo support, and no bugs for $5. Unfortunately it wasn't Snake Den. I need a 'free moving'/smoothly turning snake game with items. I would stick with the PetitComputer clone. It seems there is a influx of bad download games on Wii u at the moment. If we can't get all the latest GOOD download games, then at least give us the older ones like Limbo or Shank 1 and 2!